I am a firm believer that you feel better exercising if you feel like you look good doing it. I'm always super paranoid that I look terrible, from a bright red face to sweat patches. 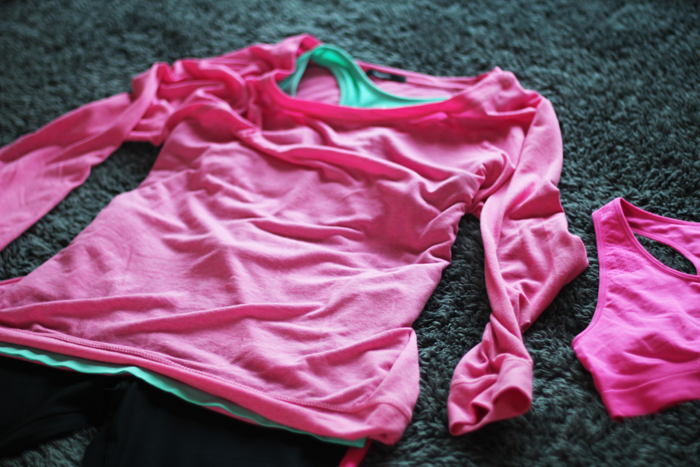 So if I can improve that by wearing bright trainers and cute clothes that I WANT to wear, I will. 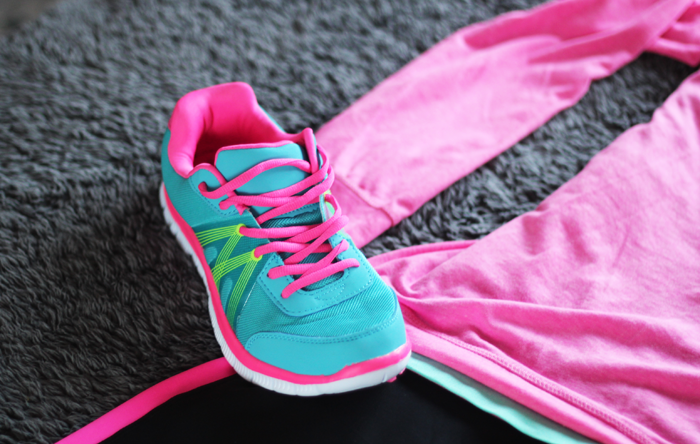 I love the trainers from your photos, they're so bright and that means I would WANT to wear them and exercise. Oh, those pieces are so cute! I can never work out in the morning, fair play! I definitely need a full days worth of fuel to keep me going!! 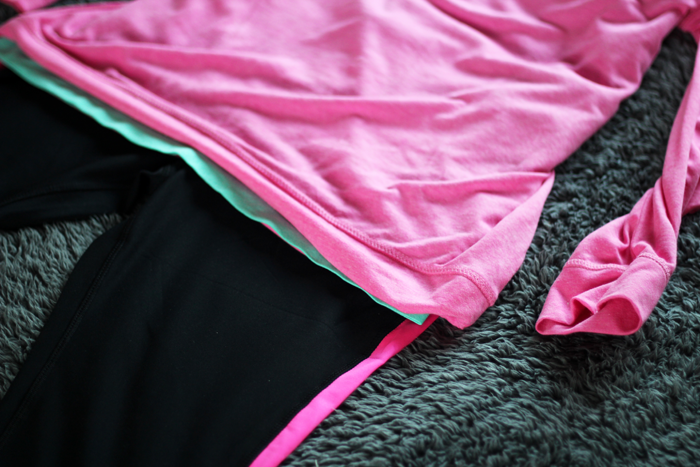 I love a good bright colour to get me motivated for exercise! 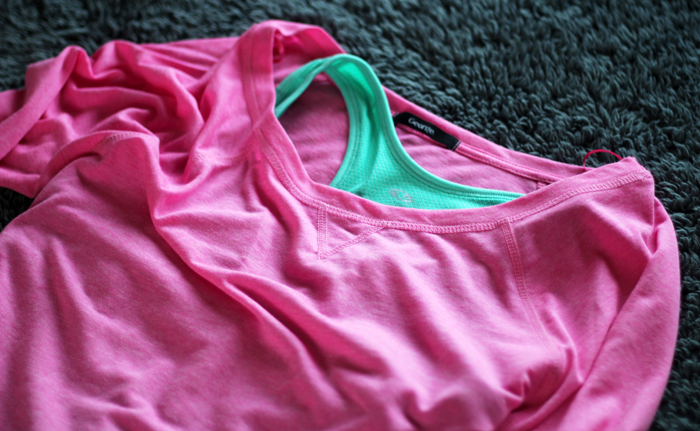 Working out is always so much more fun when you LOOK good, hehe! i'm totally the same, i've tried to force myself to go running or do pump classes in the past and it's just not something i've ever enjoyed or looked forward to doing AT ALL. but the last few months i've been in a solid routine of one pilates class and two yoga classes a week and i've been actually enjoying it for maybe the first time in my life. it really makes a difference when you decide that you're going to do whatever exercise feels right for you as often as feels right, rather than what someone tells you you should be doing, or how often you should be doing it. being pushed into something i don't like has never made me like it before so exercise is never going to stick with me if i do it like that.